Earn $25 every time a person that you refer gets a quote for auto or home insurance. 1. Must be a client with an active policy. 2. No limit to the number of referrals. 3. The prospects referred do NOT have to become our client for the referring party to receive the $25. 4. The prospects referred DO have to get a quote for auto or home insurance using valid information. 5. Referrals for non owners policies are excluded. 6. The $25 is paid instantly via https://venmo.com/ A fast and free service to receive money. Remind them to mention your name, but don't worry, we always ask how they heard about us. 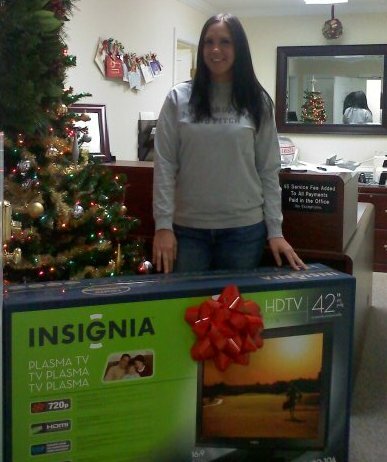 See below for our past winners of our TV give away. 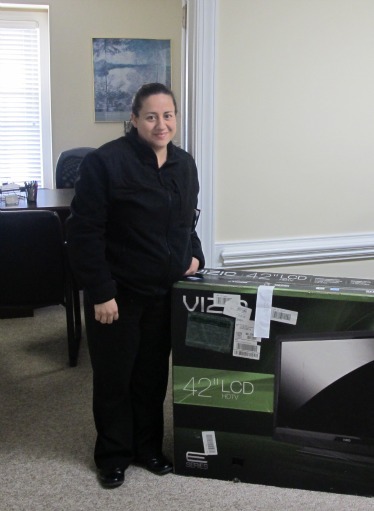 Win a New 42” Flat Screen TV! That’s right, the next time that you hear someone complain about their insurance, just talk back and refer them to us. When you tell a friend, relative, or colleague to call us. We could give our advertising dollars to newspapers, ad agencies, etc., but we’d rather give them to you, because YOU are the best advertising we can get!